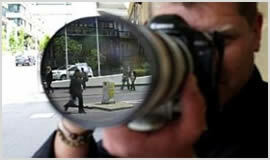 Private Investigator Liverpool is a licensed private investigations firm committed to providing investigation services. Investigators in our firm handle client's diverse needs effectively. The firm staffs include law enforcement personnel, experts in legal fields, document experts, interview experts, police trained and many more. In case you have a hunch, we can conduct an investigation to ascertain the truth. We deliver outstanding services in a flawless and hassle-free manner. Private Investigator Liverpool services are tailored to suit both individual and corporate clients. Our services include pre-employment screening, background checks, computer forensics, asset searches, missing persons, bug sweeps, divorce, infidelity and more.